Welcome to the historical Braddock Point Lighthouse, established by the United States Lighthouse Establishment (USLHE) in 1896. This majestic jewel has been restored to its original Victorian grace and splendor and is now open seasonally as a truly unique Bed and Breakfast. Your hosts, Nandy and Donald Town know a few things about what it takes to pamper their guests at the inn. They are the owners/innkeepers of the world renowned Town Manor Bed and Breakfast in Central Florida. 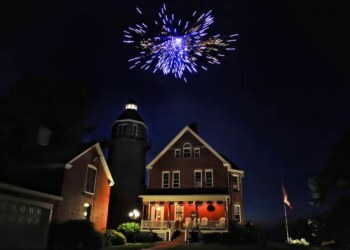 Being one of the very few that have the once in a lifetime opportunity to experience what it is like to live in an historical lighthouse perched on the shores of Lake Ontario near Rochester NY. Tour the restored lighthouse tower and take in the breathtaking views from high above. Be inspired by the magnificent workmanship involved in turning this spectacular home back to its original glory and now, finally open to the public. Braddock Point � come and visit us, we�ll leave the light on! 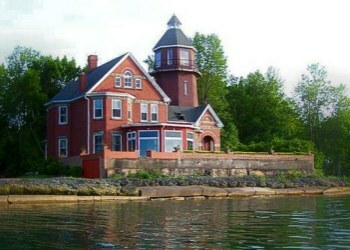 Built in 1896, Braddock Point lighthouse is actually west of Braddock Point in an area known as Bogus Point. It was known as Bogus Point because it was a drop off point for counterfeit smugglers coming across Lake Ontario from Canada. When originally built, the 3.5 order Fresnel lens provided the brightest light on the entire lake with a range of over 14 miles. 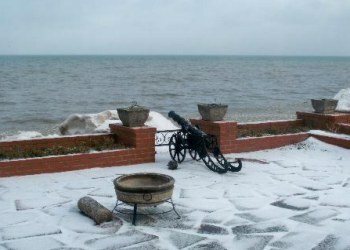 The original staircase was acquired from the Cleveland Lighthouse when it was demolished in the late 19th Century. The innkeeper quarters is in the style of the late Victorian era and is considered quite ornate for a government building. The howling winds and powerful winter storms took its toll and cracks began to appear in the magnificent tower after only a few years in service. Eventually, most of the tower was removed and replaced with a skeleton metal tower that was used until the early 1950�s. In the following years, the property was closed and neglected and was used by hunters as a duck blind. All the windows were broken and it endured significant water damage and was considered a haunted house by the local children. Fortunately, the US government sold the property to private hands and over the next 50+ years the process of restoration took place. Each of the next families that have called this home have taken on the tremendous task of bringing Braddock Point Lighthouse back to life. Today, the innkeeper's quarters have been completed restored back to the original government blue prints. The tower, while not completely original- has been rebuilt as a tribute to the original grand tower with the original staircase in tact. The light to Braddock Point was turned back on 20 years ago and is now one of the very few privately owned, fully functioning lighthouses in the United States. The new owners, Don and Nandy Town have added many enhancements while remaining true to the original vision of this historical treasure. 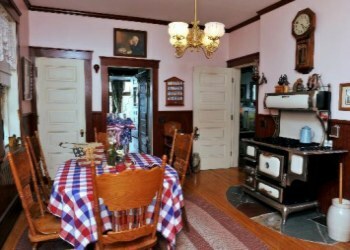 As experienced Bed and Breakfast owners, they have brought their expertise to Braddock Point. In the summer as well as select times throughout the year, Braddock Point is open seasonally and on a very limited basis to guests to come and visit and stay overnight.